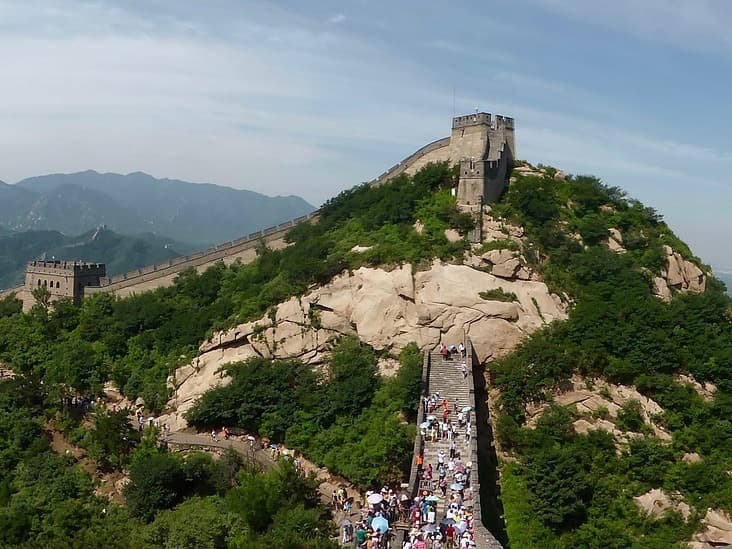 Simatai is incontestably the marvel of the Great Wall available to tourists. People say that the Great Wall is the greatest structure of China, but Simatai is the best of the Great Wall. A well-known proverb of the Chinese states “He who hasn’t climbed Simatai is not a true man.” The validity of this statement might be questionable. Anyone who completely walks Simatai will remember the experience forever; there are no words to describe the pleasure of completing this course. This portion of the wall is located slightly northeast of Miyun County in Gubeikou Town. If you are looking for a nicely unspoiled and natural display, Simatai is the place to go. Simatai is nicknamed the “obstacle-wall;” It’s easy to say that this wall will be a challenge. Having slopes with an incline up to 70 degrees, Simatai will require you to have both hands free, a nice pair of running shoes as well as a camera to immortalize this event.